OHA Races Offer Stark Choices, But How Many Voters Will Care? 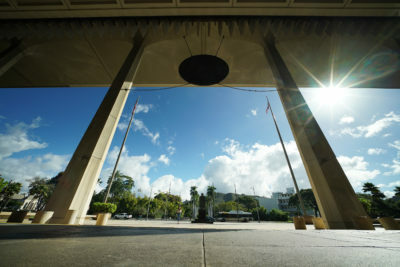 Incumbents Robert Lindsey Jr. and Haunani Apoliona are squaring off against a pair of outspoken critics, Mililani Trask and Kelii Akina. The ideological differences couldn’t be more stark in the two races for seats on the Office of Hawaiian Affairs Board of Trustees. They feature incumbents who believe OHA is doing a good job and two well-known challengers who argue very much the opposite. 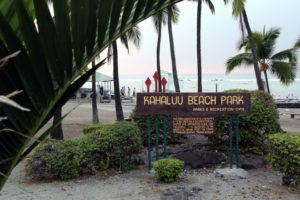 One even heads an organization that has sued to stop OHA-funded efforts to create a Native Hawaiian governing entity. The question is, how many voters will care enough to mark their ballots in the races? The Office of Hawaiian Affairs offices in Iwilei. OHA races are all statewide affairs, but many voters leave their ballots blank. More than 40 percent of voters in the Aug. 13 primary — more than 100,000 people — chose not to select a candidate for either the Hawaii Island or at-large seats on the OHA board. Hawaii’s voter turnout is abysmal enough, but it’s far worse for OHA. 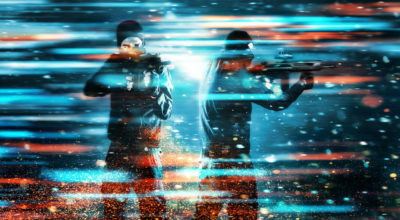 And it’s not a new problem. 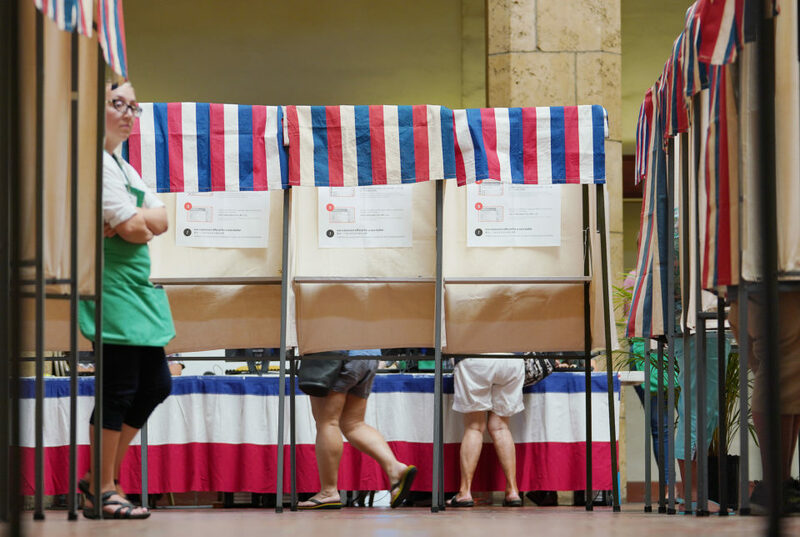 For example, while OHA races are the only statewide elections in Hawaii besides governor, lieutenant governor and U.S. senator, far many more primary voters cast ballots in the Senate race even though Democrat incumbent Brian Schatz was a prohibitive favorite. So, how to improve turnout in OHA elections? Advertise, advertise, advertise. That’s the strategy of the four candidates who did best in the primary but did not get more than 50 percent of the vote, thus forcing the general election runoffs. 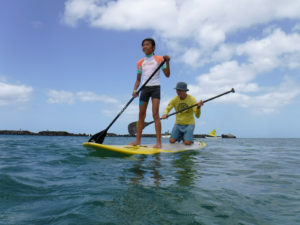 Hawaii Island trustee Robert Lindsey Jr., OHA’s board chair, and challenger Mililani Trask are raising and spending thousands of dollars in their attempts to prevail Nov. 8. Trask gave Lindsey a political wake-up call by edging him by 3,200 votes in the primary. Craig (Bo) Kahui, the other candidate, picked up 21,000 votes in a race that saw 150,000 people vote. 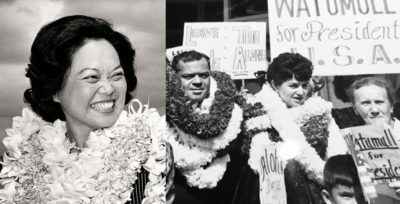 In the at-large contest, longtime incumbent Haunani Apoliona, a former OHA chair, received twice as many votes as the second-place finisher, Kelii Akina, or about 61,000 votes to 32,000. But five other candidates drew a combined 55,000 votes. Akina and Apoliona each hope those others votes will go their way this time. And all four candidates would love to convince the 100,000-plus voters who skipped the OHA races in the primary to reconsider this time around. 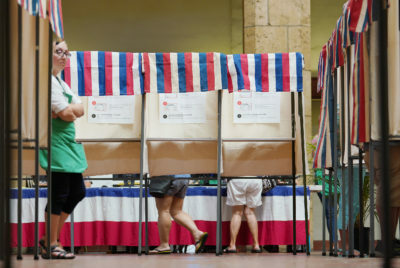 Neal Milner, emeritus professor of political science at the University of Hawaii Manoa, said few voters pay attention to OHA races because they don’t have the usual “cues” they depend on to make their choices. If a voter is a Republican, for example, and a Republican is running, the voter will likely go ahead and choose that person even if they don’t know much about the race. But the OHA seats are nonpartisan. Another cue comes from social groups, including friends and family. But the OHA races may well be unfamiliar to everyone in those groups. Robert Lindsey Jr. chairs the OHA board. “I can’t remember having one conversation about OHA with my friends,” said Milner. Other reasons, he said, are that many voters have no connection to OHA, even though a significant percentage of the state population is Native Hawaiian or related to Hawaiians. 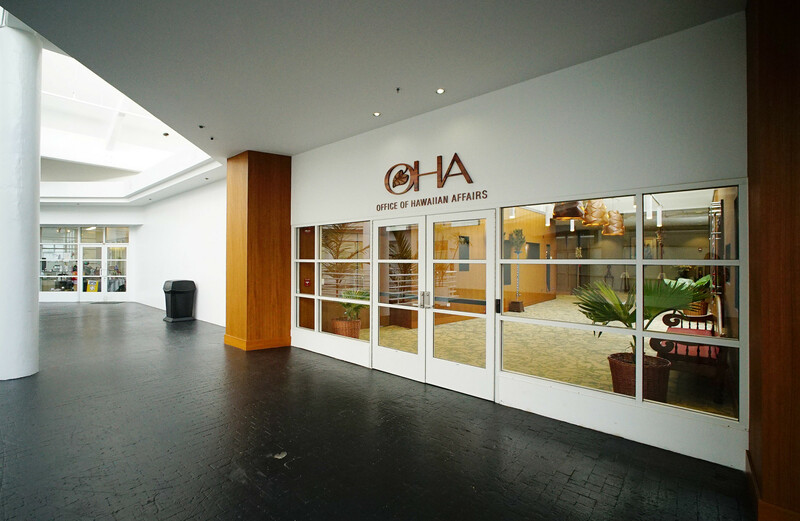 “If you surveyed what people know about OHA, it would be an F grade,” he said. He said he disagreed with the 2000 U.S. Supreme Court decision Rice v. Cayetano that determined non-Hawaiians could vote in OHA races. Another court case, Arakaki v. Hawaii, allowed non-Hawaiians to run for OHA seats. Haunani Apoliona has been on the OHA board since 1996. For those who do bother to vote in OHA races, name recognition is a “huge factor,” said Milner. Apoliona, a former OHA chair, has been in office since 1996 while Lindsey has served since 2007. 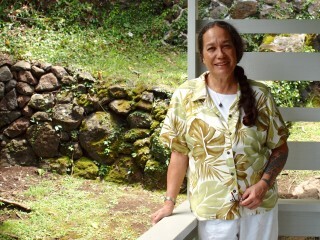 But Trask is a former trustee and a prominent figure for her work in Hawaiian independence and geothermal development. 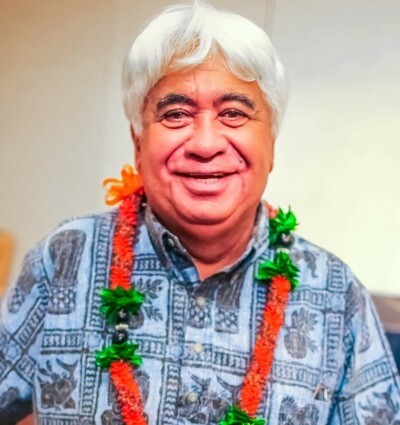 Akina leads the Grassroot Institute of Hawaii, and has been in the news frequently for his legal challenges to the OHA-funded Nai Aupuni process on Hawaiian self-governance as well as public advocacy for libertarian and conservative causes. In spite of the voter apathy, there is a feeling that these two races are sparking some interest. “The fact that Mililani Trask and I are well-known advocates and watchdogs has raised the level of interest in the OHA race and has countered the usual feeling nothing will ever change,” said Akina. OHA is a quasi-governmental agency with a mission to improve the lives of Native Hawaiians. OHA’s areas of concentration are health, education, culture, preservation of land and water, achieving economic self-sustainability and governance. 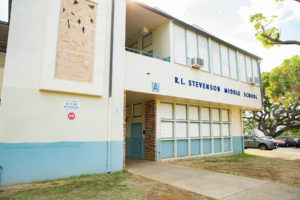 In recent years OHA says it has given more than $800,000 in scholarships to Native Hawaiian students going to college, more than $34 million in loans to help Native Hawaiians start businesses and improve homes, and $16 million to organizations aiding Hawaiians such as the Department of Hawaiian Home Lands. Mililani Trask outpolled the OHA board chairman in the primary. 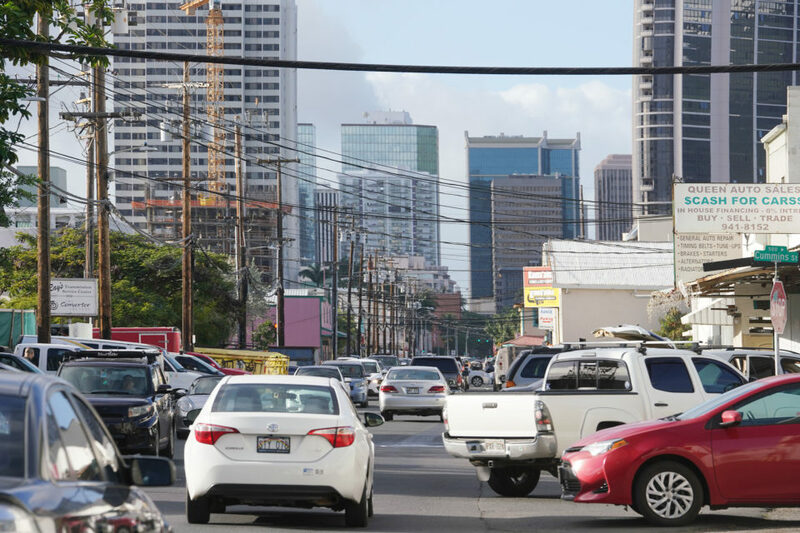 The outsize population of Oahu also skewers election outcomes. Trask, a former OHA trustee herself, said there is “a lack of accountability” among OHA trustees, something she blames on the failure to pass legislation to initiate reforms. To raise their profile, the OHA candidates are trying a mix of traditional advertising — TV, radio, campaign signs, sign waving — with social media, especially Facebook. Aloha, I’m Akina. Kelii Akina. It’s time for a watchdog to stop OHA from wasting your money on a race-based nation the majority of Hawaiians simply don’t want. Let’s all tell OHA to use our money instead for jobs, housing, education, and healthcare — which is what most of us want. It’s one of two that Akina has paid to air on local radio stations. 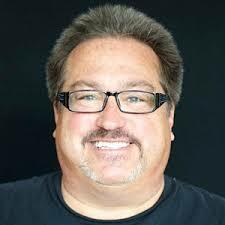 He spent almost $28,000 on his campaign through the primary, according to his latest spending reports filed with the state. Nearly $7,000 of it went to several radio stations in the days leading up to the Aug. 13 election. Another $200 paid for the jingles themselves. Akina’s opponent, Apoliona, is also trying to elevate her profile and solidify her support. She has raised and spent nearly as much as Akina, much of it for advertising. Trask spent $4,600 on her primary race, with most of it going for Facebook ads and signs, decals and shipping fees. 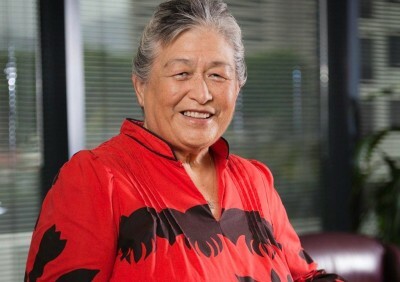 Her endorsements include former congresswoman Colleen Hanabusa, Princess Abigail Kawananakoa and Bo Kahui, the third-place finisher in the primary. In addition to the jingles, Akina has been visiting Rotary Clubs, Hawaiian Homesteaders, church groups, neighborhood boards, coffee gatherings in homes and businesses groups. He said all that has helped his campaign put together a “grassroots network” via email and friend-to-friend contacts. Apoliona said she’s relying a lot on “traditional advertising” to reach voters. That includes green and white “Apoliona for OHA” yard signs and bumper stickers, but also rack and business cards. She has also purchased ad space in Mid-Week and Kai Wai Ola, OHA’s own newspaper, and accepted “free media” opportunities via Olelo Community Media and candidate questionnaires sponsored by the League of Women Voters and local media outlets (including Civil Beat and Kai Wai Ola). Kelii Akina is using radio jingles to build name familiarity. Lindsey, Trask’s opponent, is getting help in radio ads from former Gov. John Waihee and OHA colleagues Dan Ahuna and Peter Apo. He also launched his first-ever website (Bob4OHA) and picked up endorsements from the Hawaii Carpenters Union and United Public Workers, which can translate into manpower when it comes to sign-waving. Lindsey, who outspent Trask by 2-to-1 in the primary (primarily on print ads), has since held a campaign fundraiser (asking up to $500 at the Pacific Club on Aug. 31) and paid for a television commercial (one that reminds viewers that OHA is a large and wealthy landowner, and that Lindsey has the support of two major Hawaiian leaders). 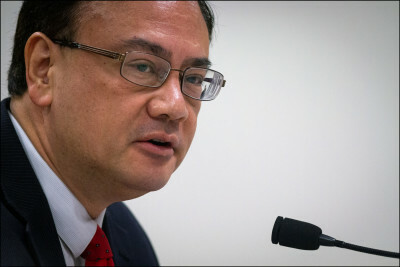 Lindsey also has the endorsement of U.S. Sen. Brian Schatz, while the Hawaii Republican Party has encouraged its members to back Akina in his race against Apoliona. She says that she and Akina are raising questions about “real issues” such as OHA trustees’ expenses, including for international travel, as well as lack of transparency and possible violations of state ethics and sunshine laws.